In October of 1901 the Perth Speedway Company Ltd held motor racing events around the dirt athletics track at the WACA Ground, results printed in the West Australian Newspaper can be viewed on Terry Walkers Around the Houses website under Results 1901 > 1935. The earliest known car race in WA was believed to be held at the WACA in 1902 when two de Dion Tricars held a match race. This track was to claim the life of the great Sig Schlam in 1930 when he crashed into the outer fence. A three year lease was granted to a syndicate comprising of Messrs D.Curtis, W.G. Forrest and J.L.Weir at what the West Australian Cricket Association deems to be satisfactory rental. It is anticipated that the venture would prove successful concidering it's close proximity to the city of Perth. The Perth Speedway Company has commenced it's operations on the WACA grounds. Alterations have been made to the track and special poles erected for lights to allow night racing. The Company expects to lay out approximately a sum of Three Thousand pounds on the track and the grounds before the first race meeting is held. The Perth Speedway Company expects to hold it's first meeting about October 1930. 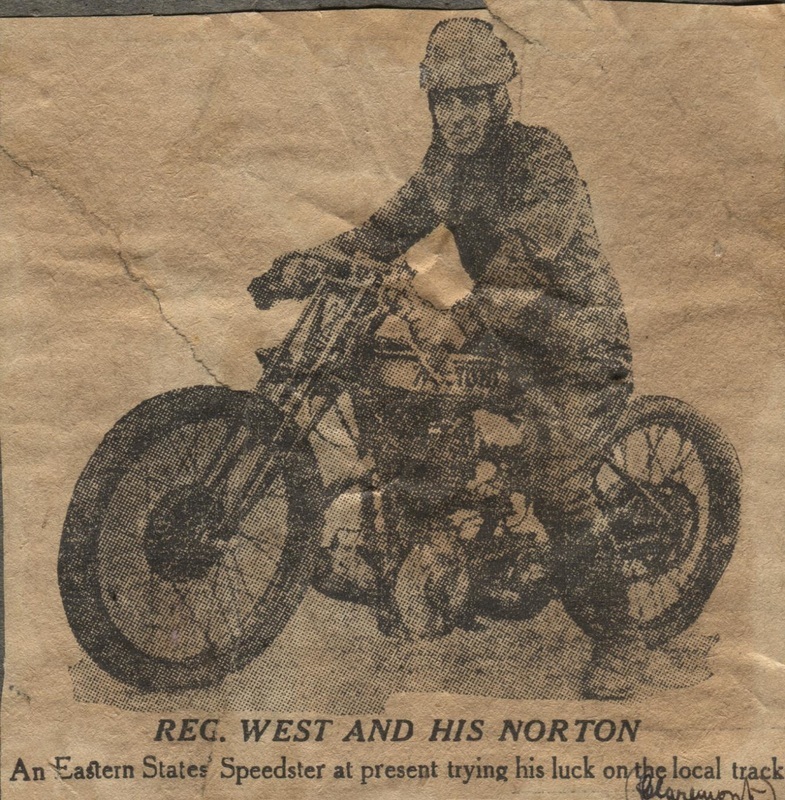 Victoria Solo rider Reg West was contracted by the Perth Speedway Company in 1930 to race at the WACA Ground. West won the Australian 2 mile championship in 1930 at the Melbourne Exhibition Speedway. The first scheduled meeting at the WACA Ground - Saturday October 18 was washed out, On Saturday October 25 Sig Schlam won five races and was third in his other start, The accident that took Schlam's life occoured at the second meeting on Saturday November 1. Collision with Safety Fence: Riding his motorcycle at top speed in pursuit of other competitors in the final of the A Grade Handicap at the Perth Speedway at the West Australian Cricket Association ground on Saturday night. Sigsmund (Sig) Schlam (25) of Walcott Street, North Perth, married, crashed with terrific force into the safety fence at the river end of the track and received head injuries, from which he died at 2am, yesterday at Perth Hospital, It was the second meeting conducted at the track and the accident happened during the 17th event of the programme, The preceding events had included the two heats of the sporting car event. 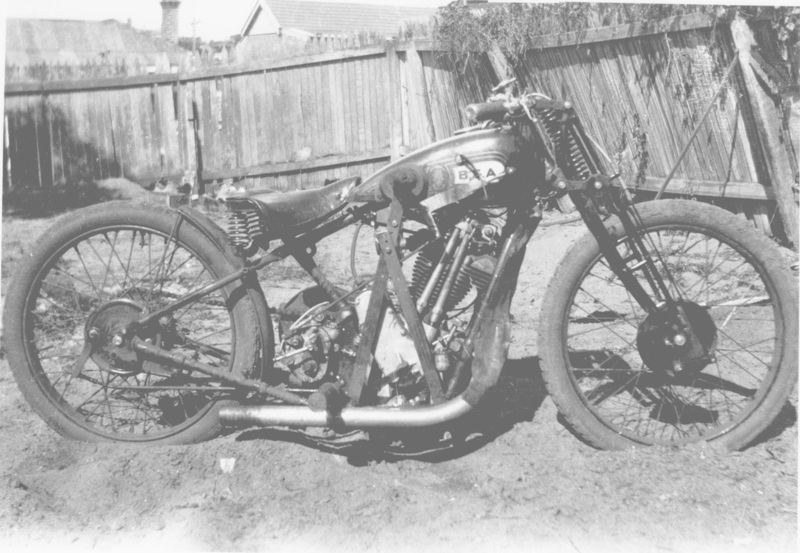 This was the third fatality in the brief history of dirt track racing in Western Australia, The other deaths having occurred at the Claremont Speedway in the 1928-29 season, In those cases the riders were comparatively inexperienced and were both stuck by oncoming machines after they had fallen. On Saturday night there were no other rider near Schlam, An eye witness, who was watching Schlams progress, described the accident as follows. Schlam, who was conceding big starts to the other riders, appeared to be riding faster than he had ever done before on the track in an endeavour to catch the field, he had completed a laps at this high speed and had gained on the field when, on entering the turn at the causeway corner for the second time, his machine jumped high in the air, throwing him off his seat, before he could regain control of his machine, he was carried into the fence, striking the boards at about 50 miles an hour. So Terrific was the impact that both he and his machine were thrown back into the middle of the track. The accident to Schlam, who was regarded, as the safest rider in the state, came as a distinct surprise to the spectators, some of whom first thought he had fainted just before the crash. Subsequent inquiries showed that, in addition to the fracture of the base of the scull, which caused his death, Schlam sustained a deep cut under the chin. A theory has been advanced that he had suffered this cut through his chin striking the steering damper, or some other part of his machine when it struck a bump, that he was dazed as a result, and that he was thus carried into the fence. Those who had watched Schlam's riding closely, are strong of the opinion that, had he not been dazed, he would have been able to regain control of his machine, despite the fact that he had been unseated. The late Mr Schlam, who was born at Boulder, came of a sporting family, his brother Cyril being a daring and spectacular rider, and another brother Winston, being the winner of the Kings Prize at Swanbourne this year and runner up the, previous year. Schlam was regaurded by many as the greatest dirt track rider produced in the state and who was the dominatating figure at most of the meetings at which he competed. He rarely finished out of a place and so accustomed were spectators to his winning most of the races that they were merely passed by with the remark that it was "another Schlam benefit", while if he was beaten on equal terms it was a notable event, So great was his skill that he was given the title of the "Trackmaster" - a term which was never applied to another rider here. So highly did the handicapper for the meeting on the Saturday night regard his ability that he was called on to concede no less than 5 seconds to his nearest opponent and 11 seconds to the limit man. His familiar figure, generally carrying his favourite red colour, will be missed by enthusiasts, as he has been identified with the sport since it was introduced to the state by Mr J Hoskins in 1927. In addition to many local successes, Schlam had won 2 Australian Championships, one at Wayville Speedway, Adelaide, and the other at Claremont. He leaves a widow and two young children, The funeral will take place at the Karrakatta Cemetery at 3 oclock to-morrow afternoon. The remains of the late rider were in procession up Hay Street, was watched by a larg crowd, and a large number of cars and motorcycles allowed the hearse and coaches to the cemetery - Nearly 500 people were present at the final ceremonies. 1930 Sig Schlam Speedway champion and son of a Yarloop Timber mill manager. Lloyd Barb Hartree recalls: here is a photo of my farthers solo speedway bike, He raced it on the old WACA track and at Claremont Speedway in the early days, After the sloper BSA he purchased a DT Douglas, Sig Schlam used a bike the same as this one. The Perth Speedway Company Ltd, which has gone into liquidation, held its first meeting on October 25, 1930. It promoted eleven meeting and temporarily ceased operations on January 10, 1931. As the company had not paid rent, under it's lease agreement, the WACA, found it necessary to exercise it's right by withdrawing the deposit of twelve hundred and fifty pounds previously lodged by the Speedway Company lodged at the Savings bank in payment of outstanding rent and both fees. A further sum of two hundred and fifty pounds and two shillings being balance of rent due to March 31, has since been paid. The payments received from the guarantors of the Perth Speedway Company (In liquidation) during the year amounted to seven hundred and fifty pounds,The agreemententered into by the Association with the Guarantors would finally expire on June 1, 1933 when a further sum of seven hundred and fifty pounds will be paid. The Guarantors for the Perth Speedway Company had settled financial arrangements with the Western Australian Cricket Association. The most important work performed on the cricket grounds in recent years was the reconstruction of the playing area. Tenders were called and a price of fifty two pounds was accepted for the dismantling of the speedway fencing and the removal of the track lighting system around the oval. The new picket fence was erected around the altered playing area, which was made a perfect oval measuring 210 yards by 160 yards. To widen the oval, over 20,000 grass sods were used. Careful attension was given to the question of drainage, and a new system. costing One Hundred and seventy pounds had been laid. The WACA. have a photograph hanging on the wall in the offices taken in 1932 that clearly shows the speedway track around the perimeter of the playing area. The Trackmaster is a book about Sig Schlam by Bill Elkes.